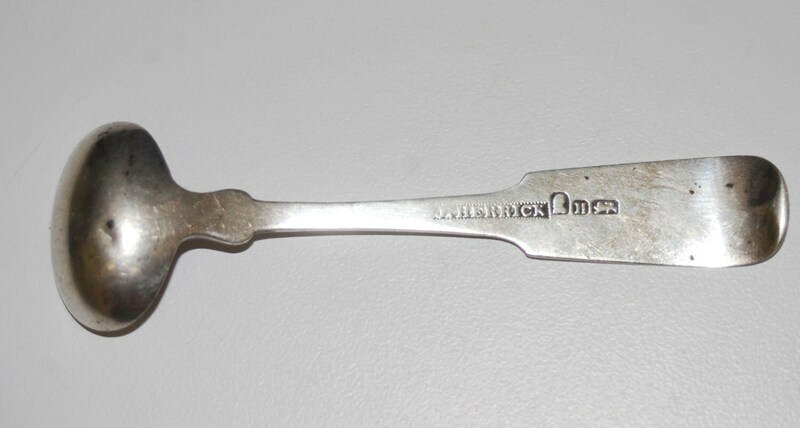 A handsome engraved Georgian fiddle back salt spoon made of sterling silver. Stamped with lion passant, George III duty mark, and the date letter H (1803). 3 7/8" and 9.2 grams. 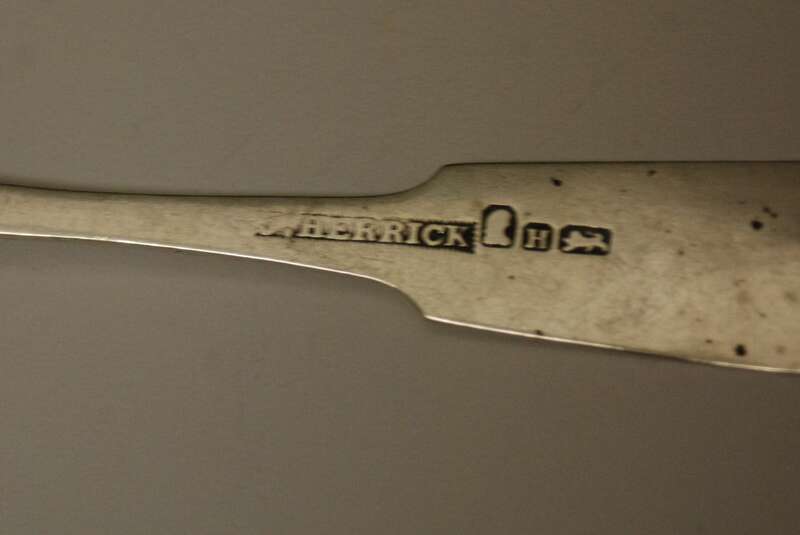 Interestingly, there is no city mark and I cannot find J. Herrick as a registered maker. Condition is good with some patina spots and a microdent in the bowl that is hard to see. 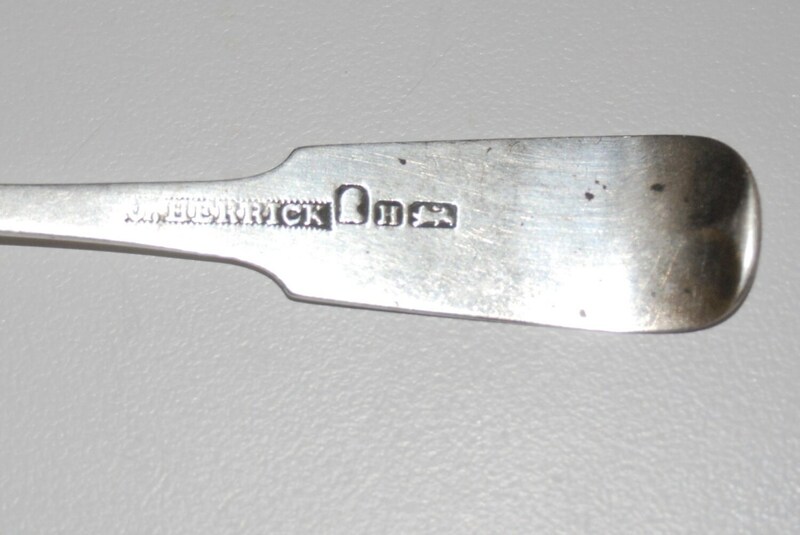 Monogram may be "MSC".